Tanger Outlet Center, Rehoboth is located just two hours from Philadelphia, Baltimore and Washington, D.C., and four hours from New York City on Route 1 in Rehoboth Beach, Delaware. From Southern New Jersey, the Cape May-Lewes Ferry runs daily and provides transportation seasonally to Tanger Outlets. The Tanger Outlet Rehoboth Beach Coupons and Sales web page is the best place to find up-to-date coupons and sales information for the individual outlet stores. For additional savings, join the TangerClub and get exclusive coupons and sales offers available only to TangerClub members. Take advantage of Tanger Outlets' "Best Price Guarantee," which states: If you purchase merchandise from any Tanger store and find it advertised for less elsewhere within 30 days, they will refund you the difference in cash. This does not apply to online offers or purchases. 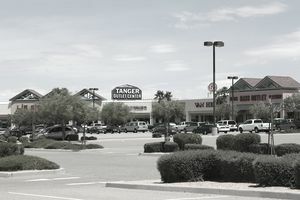 Visit the Tanger Shopper Services for additional details. Check the Tanger Outlet page to find out the hours for specific holidays. Note: Visit the Tanger Outlet Rehoboth Beach web page for the most current store listing and store phone numbers.